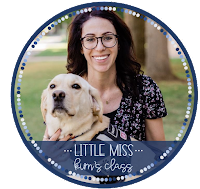 If you work in a self-contained or center-based classroom, then you probably work with paraprofessionals, and when a para isn't at work, it can make it really hard on the students and other staff. Being strategic and having a plan in place for days when your classroom is understaffed will make the days a lot easier on everyone! Below are a few of my favorite tips for making it through days when you're short-staffed. -Make a "one-man/ person down" plan before you're understaffed. I got this idea from Chris at Autism Classroom Resources and it seriously changed my classroom! Before I found this tip, my classroom was in chaos... It was the spring time a few years ago, my classroom was technically fully-staffed, but I had a paraprofessional who was out of the building at least one day a week. 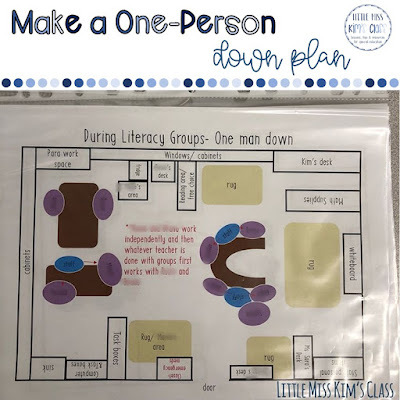 This left our classroom completely dysfunctional until we made a one-person down plan! 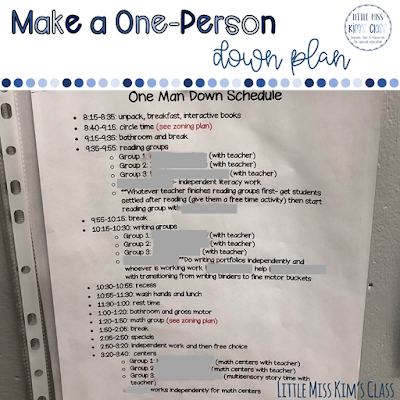 Once I made a set schedule/ routine for when we had a paraprofessional out of the classroom, it made things run so much better because we knew exactly what to do and we weren't scrambling last minute to rework the schedule. 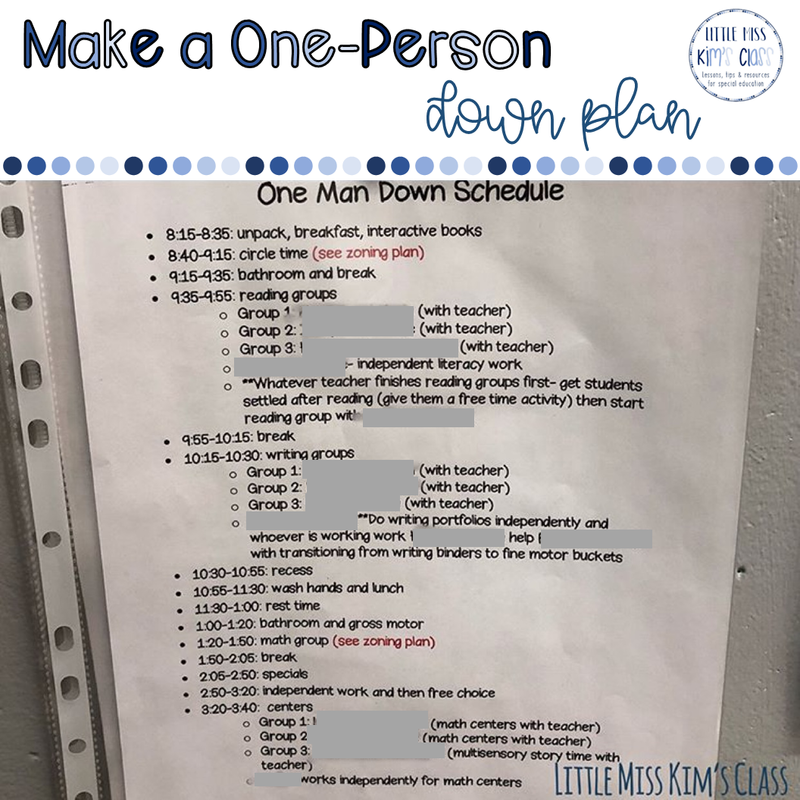 A one-man/ person down schedule is basically a plan for how your classroom will run when you are one staff member short. It's inevitable that your schedule/ routine will have to change to some extent when you are understaffed, but making the plan ahead of time and making sure all staff members know the plan well will help tremendously when the day comes that you're understaffed. 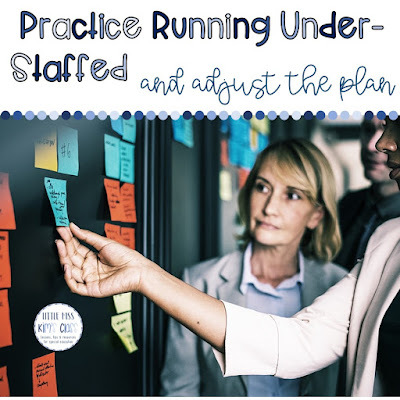 -Practice running your under-staffed plan (when you're not understaffed). I suggest testing out your one-person down plan one or two days a month (when you're not actually under-staffed). This will ensure that all team members have an understanding of how the plan/ routine works and will let you problem solve and make adjustments to the plan, if needed. 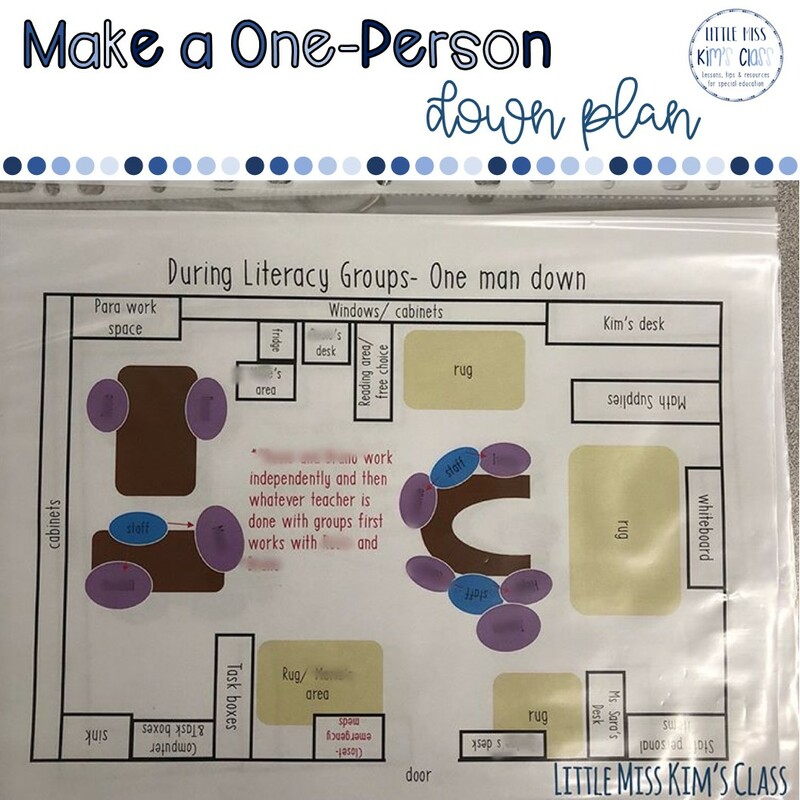 When running the one-person down plan without being understaffed, one paraprofessional might be in the classroom but not directly working with students (they might be prepping materials or doing classroom work, but not follow their regular routine). -Use your students' independence to your advantage! 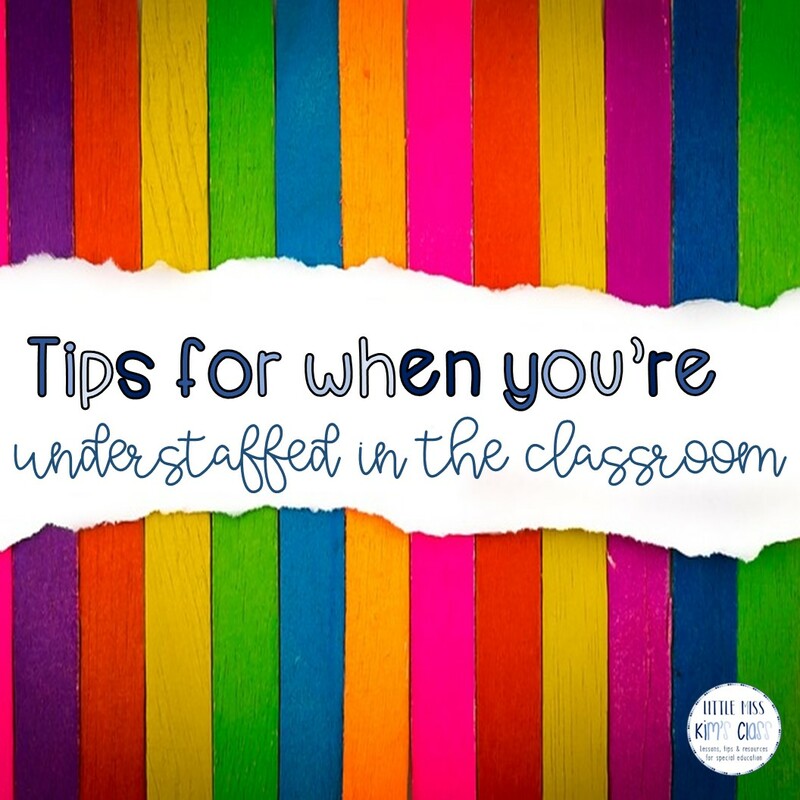 Most students can do a few different tasks/ activities independently, use this to your advantage when you're understaffed! 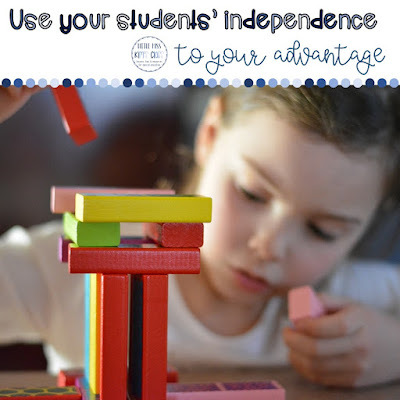 I spend a lot of time at the beginning of the school year teaching my students to work independently (using a structured work system) and play independently. Not only is this a wonderful functional skill, but it's also great when you're short-staffed because the staff can continue to pull groups or work with students while other groups of students are working or playing independently. When we are understaffed, we typically add a lot of extra independent work and play time so that we still do reading, writing and math groups. Free time with blocks, cars, trains, magna-tiles, etc. At the end of the day, none of these tips will solve all of your problems when you're short-staffed, but I hope they can help to take some relieve some of the stress! Information is very informative also you can click!,and get such type of info, this is the great resource to get such type of information.